Kirstenhof Primary School was originally the Westlake Primary School which opened on 21 January 1952 with 47 boys and 42 girls. Lessons were taught in English and Afrikaans, but in 1969 the school changed to an English medium school. On 1 March 1969, the school was moved to its present site in Lente Street and renamed Kirstenhof Primary. The school was officially opened by Mr J.C. Heunis on 24 October 1969. The land on which our school is situated was owned by Hendrick van der Poll who left it to his brother, whose surname was Kirsten. 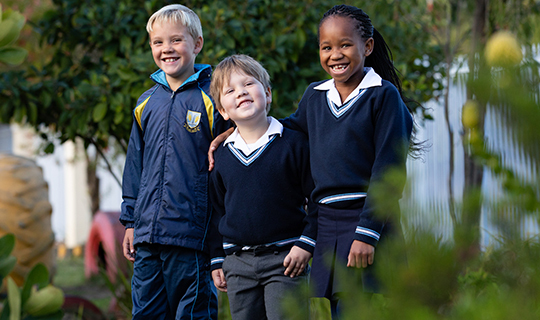 The suburb was later renamed Kirstenhof after the family – the school is built on the original Kirsten family farm. The school badge, designed by Dr C. Pama, is based upon the Kirsten family crest. The School Song, composed by Mrs Slabbert, was first sung in 1980 in the school hall. The school motto is Semper Virens, which means “ever green, ever growing”. The new Kirstenhof Primary School’s first principal was Mr M.H. Greef, the former principal of Westlake Primary School. He retired in December 1979. Mr Bruce Lane became principal at the beginning of 1980 and was followed by Mr Frank Emslie and Mr Clive Barham. Mr Stuart Payne is the present principal of the school.